Pioneers in the industry, we offer treatment table with rack, instrument trolley and massage table from India. 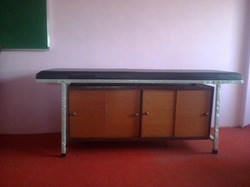 We are leading manufacturers of Treatment Table with Rack. 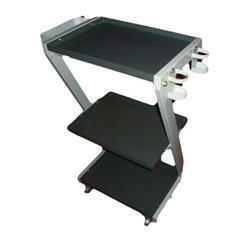 We are a one of the leading Manufacturers & Exporters of Instrument Trolley. 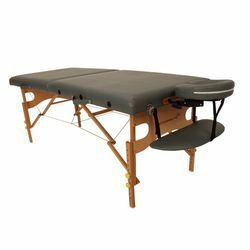 Massage Table offered comprise treatment table that finds use in physiotherapy field for massaging of injured body area and in relaxing of muscles. Featuring quality construction finish, these tables come manufactured using the thick iron that comes duly powder coated to safeguard it from corrosion and rusting possibilities. Some of its features include cushioned top finish; tables provide for prolonged service life; available in different sizes, coming with hoe support for easy breathing while lying face down.